Welcome to Vaper Choice, we are high end E-cigarettes retailer in Australia. 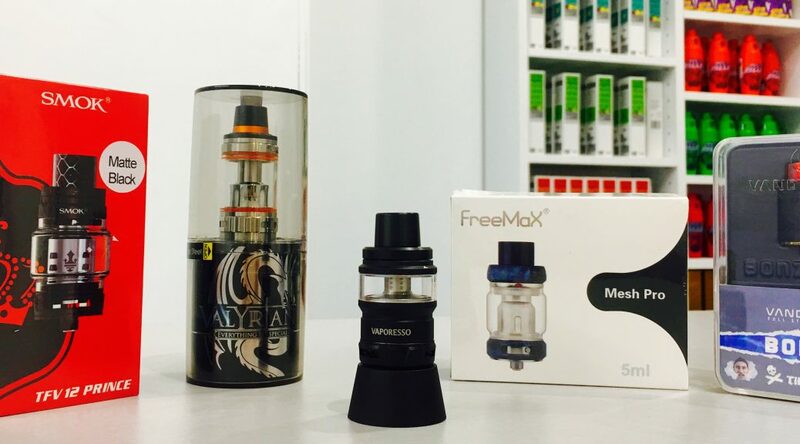 In today session, we will introduce you on how to clean and maintenance your electronic cigarette’s tank in order to have your electronic cigarette’s atomizers last longer and provide amazing flavour as brand new. We will also discuss some common problem that happens every day and how to fix them. 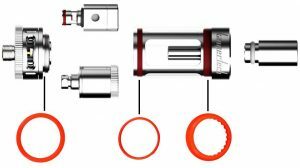 When you just purchase a new electronic cigarette’s atomizer or changing a new coil, you will need to prime your coil beforehand in order to get the best result for your vaping experience. Priming your coil is to ensure that the cotton wick inside will be soaked in the e cig liquid so that you can minimize chances of burning your wick. Burned wick will give you a very unpleasant taste and tremendous throat hit. To prime your coil, place a few drops of e cig liquid into the coil head. Apply drops of electronic cigarettes liquid to all the exposed cotton wick and make sure they absorb thoroughly. Apply tiny bit of e cig liquid to all the plastic O ring to lubricate and easier to assemble your electronic cigarette’s atomizer. Then assembly your atomizer, make sure not to overtight your tank at all. Close your airflow, then fill up your e cig liquid (all the way to the top), this way it will not allow any air to sneak in your tank and causes leaking. Close your tank cap and take a few deep inhale without turning on the machine and the airflow still close. Flip your tank upside down then open airflow and use normally. When do I have to change my coil? There is no exact answer to that question. It all depends on the machine, user, PG-VG ratio, e cig liquid quality and so on. Coil lifespan can also vary because of Wattage profile. We recommend user to have your wattage set up base around the lowest point of the recommended wattage written on your coil. As the rule of thumb is that you need to change your coil when notice a burning taste or flavor fading compare to normal. While it might seem like a complex task to maintain your tank properly it is actually quite simple. First and foremost, you will want to keep it clean. At least once a month clean your tank. Start by removing the coil(s) and any O-rings. While removing the O-rings look for signs of wear or any cracks. If any O-rings are damaged, replace them. Clean your tank thoroughly using isopropyl alcohol or warm water and a mild dish soap on both the inside and out. Make sure to pay special attention to the threads (an old toothbrush can be helpful for this part). Be sure to wash your O-rings as well. Rinse it well, then rinse it again just to be sure there is no soap or residue left behind. Once your tank is completely dry you are ready to reassemble and use it again. By keeping a clean coil in your tank and by keeping the tank itself clean and free of excess juice and debris you should have a trouble-free experience when using it. Sad but true once in a while people have issues with their tanks. Let’s take a look and see what some common causes of this are and what we can do to remedy this. The leaking tank is the most issue that user experience when trying vapour smoking. It can be super inconvenient but normally an easy fix. Most of the time when your electronic cigarette’s atomizer leaking because of air got inside the tank or the O rings got misplace, broken. The first step to do is remove your tank, close the airflow and give it a few deep inhales. Then flip the tank upside down and reopen the airflow. This step is to remove excess air inside your electronic cigarette’s atomizer whilst create a vacuum pressure. Flip it upside down then reopen airflow so that air can exit the tank. This should stop the leaking if none of the parts are damaged. If so simply take the tank apart, rinse it with water to remove all e cig liquid (not to rinse the coil). Inspect all the parts for any damage such as O rings, glass. Change any part that is damaged in any way. Check if your coil is properly placed into the base and not overtight, which easy to remove without using any tool. Because this will cause the O rings in your coil damage and misplace. If this happens, your coil is already damage and need to be changed. Another issue that can sometimes occur is the electronic cigarette’s tank not firing. Some regulated vape mods might display an error message like “Check Coil” or “Check Atomizer” or it might just not work at all. If this happens to you, the first thing to do is to make sure that the device is working with another atomizer and the coil’s resistance is within the vape mod’s operating capacity. For instance, a 0.2Ω coil will not work on a device that can only fire as low as 0.3Ω. Once you are certain that the vape mod is working and the coil in the electronic cigarette’s atomizer you are using is within the device’s operating capacity we can move on. At this point, we have to understand that somewhere in the circuit the electricity is not flowing properly. Fortunately, this can be caused by only a few things. The first thing to check is if your installed coil is still good. To test this, you can install a new coil and try it, or you can try using the already installed coil on a different device or an ohm reader and check to see if it will work on it. If it reads properly on the ohms reader or works properly on a different device, then the problem is with your device and not the tank. If no coil is working, you will need to try a new coil. If you have done all of the above and it still isn’t working, we will then want to look at the small positive center pin found in the bottom threaded portion of the connector. The pin should sit slightly further out than the threaded portion of the connector or at very least sit flush with it. If it is pushed in, you will either want to take a screwdriver and try to thread it out a little to adjust it or in the case of pins that are not threaded you can gently pry it outward to get it to the proper position. At this point, the atomizer should be working properly. If it is still not working the very last thing to check is the insulator ring that the positive pin in the connector sits in. Sometimes they can become brittle and crack or even melt from too high of heat. If this insulator is damaged it can be replaced but is not commonly available and often will require the atomizer itself to be replaced. While there are other issues that can come up, they are specific to different tanks and the above information is applicable to any and every tank currently on the market. Hopefully, this information will help you keep your tanks working perfectly and allow you to get them up and functioning should you run into any problems. On behalf of everyone here at Vaper Choice thanks for reading and until next time, Vape On!